JULIA SPENCER-FLEMING: It's a week and a half before Thanksgiving, which in my calendar means it's the perfect day to try out a new recipe for the holiday. Your mother always warned you not to make a new dish right before company was coming, and she was right. This recipe caught my eye when it appeared in the New York Times because I have an abundance of both kale and fennel from my fall CSA. Also onion and garlic - the only thing I needed to buy that wasn't already in my pantry or frig was the cheese. It's even useful for getting rid of that cup of rice you have left over from last night's stir-fry. 1 ½ pounds bulb fennel, chopped (about 4 cups) If you haven't used fennel before, look online for how to slice and peel it. The original recipe calls for blanching the kale in salted water, squeezing out the water, and then slicing it finely. Who has time for that? I bunch the kale leaves up and chop them into tiny little ribbons. If you like to blanch, add the kale in right before the dill. Heat the 2T of oil in a skillet. Saute onion and kale until soft, then add the chopped fennel and salt, if you're a salt person. When the fennel is very tender, add the garlic, and then the dill. Season with salt and pepper if you like (I don't use salt because I'm trying to reduce my sodium.) Remove from heat once the garlic is sauteed. In a large bowl, beat the eggs, then whisk in milk and salt to taste. (The original recipe has a whopping 905 milligrams of sodium per serving! If you're someone who really misses salt, but who would like to cut back, I'd recommend a tablespoon or so of fresh rosemary leaves to brighten the taste up.) Stir in the fennel/kale mix, the rice, and the grated cheese. Grease a 2-quart baking dish. Pour the egg-and-everything mix into the dish, drizzle with the other 1T of oil, and top with the breadcrumbs or crumb/Parmesan mix. Bake 35 - 40 minutes, until the top starts to brown nicely. Let it sit for ten minutes before serving, which can be done hot, medium, or - if you're putting in the car for the trip to Grammy's - cold. How about you, dear readers? What are you planning to bring to Thanksgiving? Oh, my, this is definitely a must-try-it dish. Usually I use fennel in a yummy chicken dish; this sounds like a great new way to enjoy it. And there’s lots of rosemary and dill in the herb garden, so we’re pretty much all set. Thanks for sharing the recipe . . . .
We’re having one of those family Thanksgivings where everyone brings something, so I expect we’ll have turkey and all the usual trimmings. But we’re taking dessert [currently narrowed down to four possibilities] . . . Either pumpkin custard or mincemeat tarts if we go with a traditional Thanksgiving menu or, for something nontraditional, either chocolate mousse cups or hummingbird cake. Whatever we take, we’ll be with family, so all will be good . . . . I *can* cook, but I tend to like really simple stuff so this recipe would probably translate to "have a nice salad, with a slice or two of cheese on the side." My main goal for this Thanksgiving is to secure a nice ham, since I'm not a huge fan of turkey. I do, however, like to make pies, and pies are better shared since there's no way I'll get through a whole one by myself. But even pie isn't foolproof as a dish to take to a pot luck Thanksgiving. I specialize in apple, pumpkin, and mincemeat. The apple usually goes over well, although it is not my personal favorite when it comes to pie. Some folks don't like pumpkin. Then there was the sad day when I scoured the Texas countryside for mincemeat ingredients, and presented the results at my soon-to-be mother-in-law's table, only to see her look at it, sniff, and say, "Oh that's right. Your family is English." As if English was a bad thing. And I'll never forget the year I rose early, spent the whole morning over three different pies, juggled them all into my car and presented them with pride, only to discover that everyone in the younger generation was on a diet, and nobody wanted any pie at all. So this year I'm sticking with ham. If nobody else wants any, I'll be glad of the leftovers. Oh Gigi! My mom is a native Texan and she loves mincemeat pie! My mother-in-law was from a German family, and much preferred pecan pie. Gigi, my attitude is "More for me, then." Thank you for the advice, Ann, but I tend to cruise a few blocks down to the Historic McKinney Square (which is probably a registered trademark somewhere) and go to Hamm's, a local meat market that has exceptionally yummy shank-in hams that make excellent ham and bean soup after the feasting is over. And yes, Julia, that's exactly why I tend to make pies I enjoy eating myself. I can look generous by leaving the apple, and pig out on the mincemeat when I get back home. Thank you Julia. I love fennel and like kale. This sounds delicious! I have fennel and pork tenderloin recipe that I found on line that has been a big hit this year. We travel to my sister-in-law's house out of state so we just take wine! Truthfully, that's what I'm bringing this year. We're traveling to DC, which usually translates to 12 hours on the road. Any food in the car will be eaten. I hate to sound like a hick but I've never had fennel and I don't buy kale. But cheese and rice is good! Seriously I don't know what we're doing for Thanksgiving this year. Mom has been doing better so we may bring her over to our house and cook a meal here. My sister and her family have plans, so it will just be us three, Mom, and little brother. Last year I rebelled and did not cook a turkey. I will this year if my husband will smoke it. I'll supply the usual sides and twist my little bro's arm to bring a dessert. Maybe I'll haul out the King Ranch casserole for Christmas! Pat, I've never bought kale in the sense of going to the store and picking it up, but it ALWAYS comes with my community share agriculture box. One of the best things about subscribing to a CSA has been getting veggies I've never considered and then coming up with recipes to include them. I now have 2 pounds of heirloom beets. My kids don't like borscht or beet salad. That's my next challenge. Pickle them? Easy and will keep forever in the fridge or even longer if you process them in jars. It is my favorite vegetable. Julia, do you know about roasting beets in foil? Scrub each beet, wrap individually in little foil packets, but in oiled roasting pan (because packets may leak beet juice and you don't want to scrubbing burnt beet juice out of your pan!) Roast at 375 ish until beets can be pierced easily with a fork. Let them cool. Put on some rubber gloves (unless you are in the mood for pink fingers) and peel or rub the skins right off. This is so much easier than peeling raw beets. Now you have lovely cooked beats that you can use in all sorts of things--just for you, if the kids don't like them. My fave is sliced with arugula, some feta or blue cheese, and a walnut oil and balsamic vinegar dressing. I didn't know that, Debs. I've roasted them with other veggies, but hadn't thought to seal them in foil. Sounds like a MUCH easier clean-up. We'll be home by ourselves for Thanksgiving this year, then converge at my parents' place for Christmas. Now that I've retired, I'm hoping (and I'm not alone in this hope) to take on more of the cooking and do better than Rice-a-Roni. So I'm keeping my eye out for recipes. This one appears very clear, but I'm still trying to start off even easier. That's okay, Roberta. See above: more for me! Julia--First, I'm so happy that you are back posting on JRW. I have missed your fresh, down-to-earth posts, and your distinctive voice. Next, I'm with you on developing a delicious Thanksgiving dish that incorporate greens. 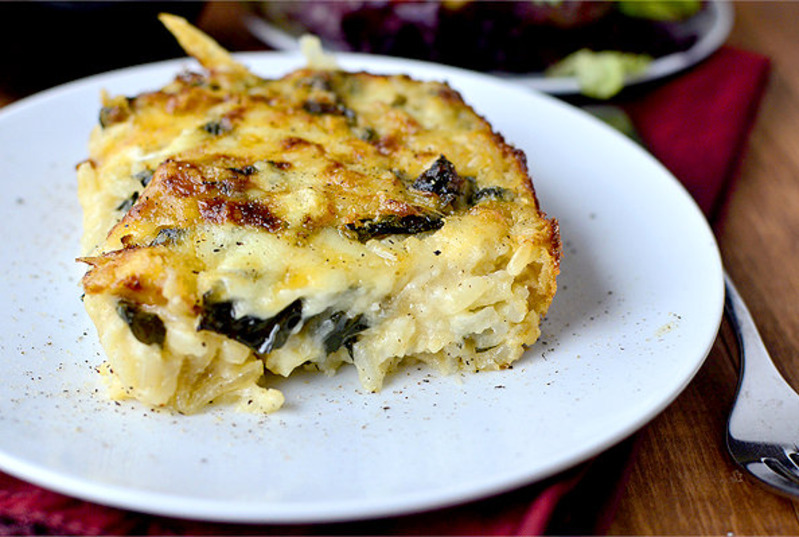 This year, I'm going to try Melissa Clark's Wild Rice and Mushroom casserole. My daughter and son-in-law will be hosting 11 for dinner, about half of whom are vegetarians. My daughter always says that Thanksgiving is the best meal of the year for vegetarians because of the rich array of sides. I've been feeling that my usual offering of sautéed Brussels sprouts with pecans is a little paltry, so I've been on the look-out for a more impressive dish. This casserole may be the answer, especially as it features wild rice, one of my favorite foods. It looks time-consuming but not impossible to make. And Melissa Clark rarely disappoints. We are invited next door, and I have no idea what I'm taking. But I'm easy. The fennel/kale recipe sounds great, and we eat both of those, so maybe I'll do that. And I will still cook us a turkey because WTH would we eat for the week after if I didn't? I do prefer my own cooking to almost anyone's, so a backup plan is necessary. Turkey, dressing, butternut squash, the ubiquitous green bean casserole, cranberry orange relish, mashed potatoes, gravy and hot rolls. Followed by pumpkin pie. My stomach is growling after reading all of these replies! Would someone like to invite me over for dinner? I'll be happy to taste test any dishes that you're thinking of making for your holiday celebrations! I'm going to my nephew's for Thanksgiving. They're having it catered this year but some people have been asked to bring a dish, and I've been asked to bring an herbed cheese ball that I've been making for years and years. I've been told that it's not the holidays without it now! 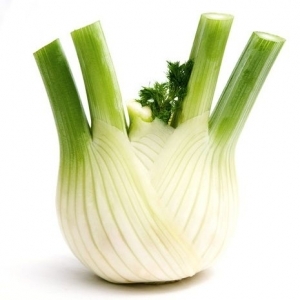 Love fennel, hate-hate-hate kale. I might try something like this with collard greens, something I didn't grow up eating, but found I loved them the first time I tried them. We love turkey, but with just two of us, I usually just get a breast and a package of legs. Since our anniversary and Thanksgiving are so close together, we celebrate both with a "big" dinner, then enjoy the left-overs. Not sure what we're doing for TG. Either going to my aunt's or cooking here. I had better figure it out! If we go to my aunt's we'll probably just take wine and an appetizer because there is always way too much food. I would like to have a ham or some smoked turkey for home, though. I'm really not a fan of kale, but your recipe makes it sound like a good idea, Julia. I don't eat much rice these days, but I did take my teenage granddaughter out to eat last night at a Japanese restaurant and had a delicious chicken teriyaki dish with yummy rice. We're going to have our Thanksgiving meal at my mother-in-law's with me taking most of the food. My daughter and husband want to have it at MIL's because of her age and the fear that she won't be around much longer. So, we'll load up the turkey, ham, scalloped oysters, green beans, dressing balls, and mashed potatoes to go with a couple of dishes MIL is fixing. I'll probably have a pie or two to take, too. I like to try a little something different each year. This year I saw a mashed potato casserole I'm going to fix instead of just the mashed potatoes. I grew up having corn pudding and rather miss it, but I might make that for Christmas this year. I will be cooking for at least 10, but will have guests bring veggies and dessert. I can do this with my eyes closed now after at least 20 years of hosting Thanksgiving. I may ask my vegan sister in law to bring a kale dish. This looks fantastic, Julia. I may actually get the hooligans to eat some vegetables! Looks yummy, Julia! Cheese makes everything better! This looks wonderful, and I do have much kale put by from my CSA share. Thanks! Your recipe looks good, Julia, and I might give it a try -- but definitely not for Thanksgiving. For the first time in more than a decade, we are hosting this holiday gathering. My husband I talked and decided that though in general I'm an adventurous cook, I am going to resist the temptation to make anything other than his family's traditional fare. No point in expending a lot of effort to make food the guests won't really enjoy. So it will be turkey with lots of basic, high starch side dishes, a green salad, and pumpkin pie. Not a menu I would choose, but I feel like it is a concession to family harmony. Looks delicious! I'm always looking for a good vegetable side dish that might be able to stand on it's own for a light dinner. Thanks for sharing!